Queen’s College, founded in 1977, is an international school which caters for 400 children between the ages of three and eighteen. 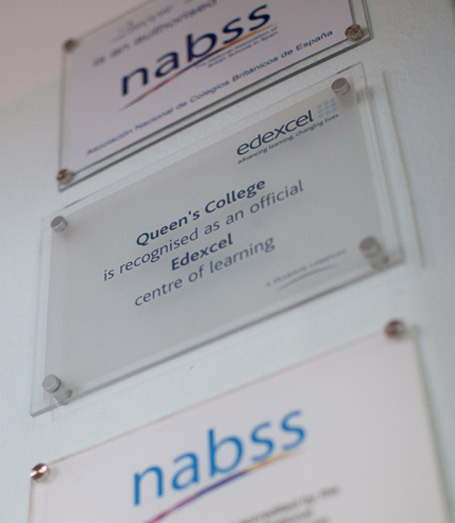 The school follows the British National Curriculum, preparing students for GCSE and GCE ‘A’ level examinations. Equivalent qualifications in the Spanish Education system may be obtained by those students who also take selected subjects from the Spanish Curriculum. 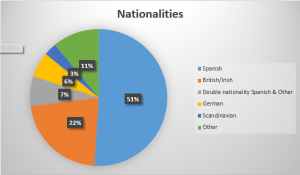 Admission to Spanish universities is possible via the European Union “Direct Access” system. Although success in public examinations is seen as an essential target and the school is proud of its academic achievements, education is provided in its broadest sense, encouraging and enabling pupils to lead full, happy lives with positive contributions to make to any society in which they may find themselves. The school welcomes pupils from many faiths, anticipating that in a tolerant, understanding atmosphere all pupils may grow to respect and value the beliefs of others. The school forms a small family community in which the needs of the individual are well cared for. Staff time, concern and commitment are readily available. In return, pupils are expected to work hard, accept responsibility and develop powers of leadership, co-operation and adaptability in preparation for the demands of the world beyond school. Students, their parents, and all members of staff form a closely knit community. 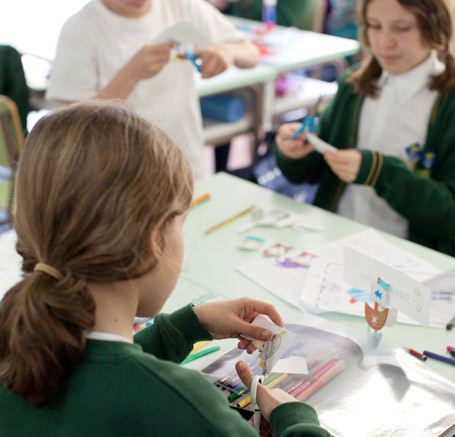 The school recognises that its aims may only be fully achieved when all members of this community work together as one. For this reason, close contact between school and home is an essential feature of school life. Newsletters are issued regularly and both management and members of the teaching staff are happy to see parents whether it is simply to discuss students’ progress or to deal with issues causing concern. Parent / teacher evenings are held regularly and parents are informed immediately when potential problems are identified. The whole school community come together at various social events during the course of the year and parents are always welcome to participate in class excursions etc. The school occupies an idyllic location in a residential area overlooking the bay of Palma, nearby woodland and Bellver Castle. Situated on the site of a former convent which now houses the administration department, a range of purpose-built classrooms are grouped around a series of patios, giving the impression of a small village. We aim to promote effective learning in a happy, secure environment based on mutual respect where the acquisition of knowledge, skills and personal qualities enable students to meet the demands of present and future society. At Queen’s College we aim to provide an excellent, all round education. equipping all students to become life long learners with the ability to think independently and to adapt confidently to new situations. enabling and encouraging all students to realise their full potential. ensuring that each student’s time at school is worthwhile in itself as well as preparation for later life. demanding from all students: integrity, a sense of fairness, tolerance, respect for others and the environment. developing a sense of togetherness, marked by a common purpose and a shared enthusiasm for learning. The following pie chart shows the nationalities of Queen's College students.